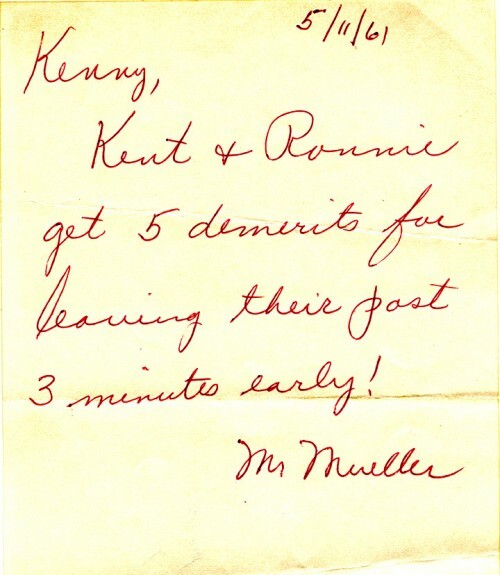 Just to show you how your permanent record can come back to haunt you, here is a note I found stuffed away between the pages of a book. 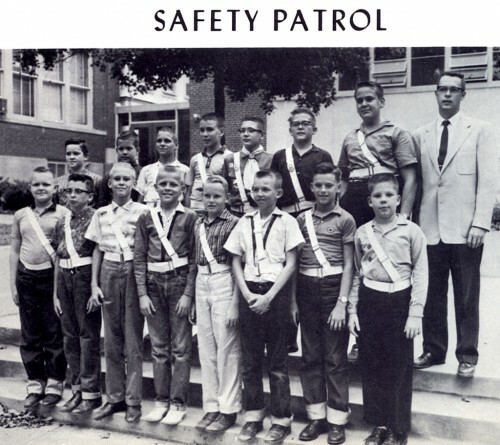 I was captain of the Trinity Lutheran School Safety Patrol in the eighth grade. Mr. Mueller, the eighth grade teacher, was also advisor to the safety patrol. 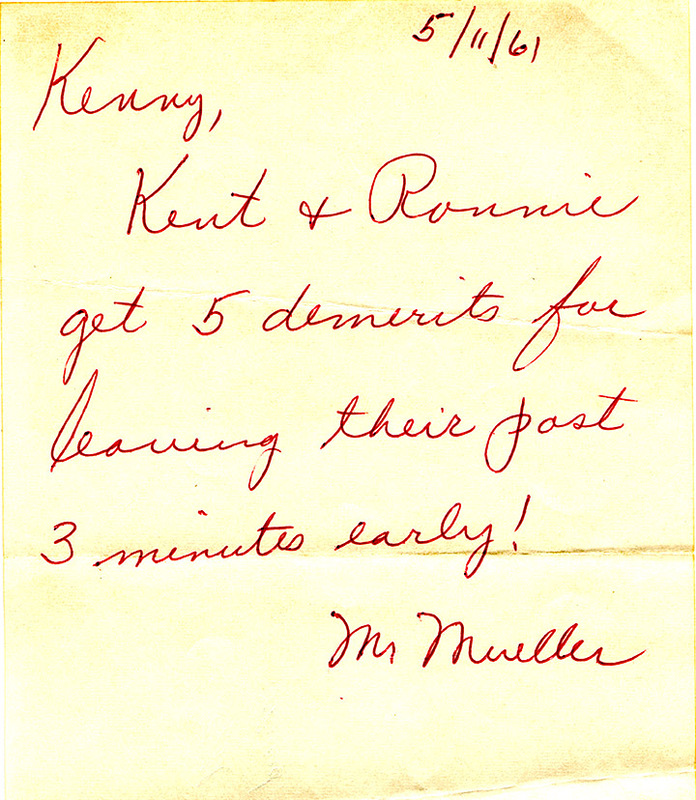 He evidently caught two of my patrolmen leaving their post three minutes early (with an exclamation point, no less). He wanted me to mark them down for five demerits each. At this late date, it’s really not worth it to add to their shame by publishing their last names, but they DO appear in this photo. Ken, that group shot of the “Patrol” must’ve been shot on a Monday, since you’re wearing your scout uniform. Tim, Scout night was Tuesdays back in those days. Nice rolled up jeans! I can remember these, I stopped doing this in High Schools when I got White Jeans, like Pat Boone…way cool…I thought then, and well I still do. Next PostNext Why Weren’t We Killed?